​​In your experience, which of the following is true? A) Yes, the Scripture above is how I would describe my church life – we are devoted to Biblical teaching, prayer, fellowship, and eating together in each other’s homes. B) No, the Scripture above is not how I would describe my church life, although our pastor does teach on Sunday mornings, and usually someone will pray, but we don’t eat together in each others homes or fellowship together for very long after the service. C) Somewhere in the middle of “A” and “B.” Our pastor teaches, the prayer team prays, and we enjoy fellowship occasionally. However, as a group, we are not that devoted to the apostle’s teaching, prayer, and fellowship. It’s something that we do on Sunday mornings but we are not devoted to it throughout the week. As for eating together in each other’s homes, a few of us do that but most of us do not because we don’t know each other that well. What is your church devoted to? What are your brothers and sisters in Christ devoted to? What are you devoted to? What do we spend the most time and money doing? If we are honest with ourselves, we would have to admit that many if not most Christians are devoted to watching television, going out to eat, and seeking entertainment by going to movies and sporting events. Some of us aren’t such couch potatoes and we go hiking or participate in sports or take our kids to their clubs or sporting events. In the end, though, there are very few of us that are actually devoted to Biblical teaching, prayer, and fellowship on a daily basis. Sharing our lives with other Christians just isn’t that important to us or to those that lead our churches. We have abandoned midweek gatherings, adult Sunday school classes, potlucks, and other events that encouraged people to get to know one another and share their lives together. We don’t talk much about the “one-anothers” – love one another, care for one another, bear one another’s burdens, forgive one another, pray for one another, exhort one another, encourage one another, teach one another, fellowship with one another, etc. – simply because we usually don’t even take the time to know one another, let alone share a meal together or pray for one another or study the Word together. "sharing our meals and our lives with other Jesus-followers is where the power is. That is where lives are changed – when people get together to study the Word, pray, fellowship, and eat together"
​Let’s face it, the sad truth is that if we were to become devoted to gathering with other Christians several times a week to eat together, study the Word and do the “one-anothers,” it would cut into our TV time, sports, or other things to which we are already devoted. And yet, sharing our meals and our lives with other Jesus-followers is where the power is. That is where lives are changed – when people get together to study the Word, pray, fellowship, and eat together. For as they share their lives, reading the Word and praying for one another, God is there in the midst. When people get together and invite Him to come, He shows up! When people get together and pray, He answers! When they read the Word, it comes alive to them! So then, as we endeavor to discover how to do Biblical church, let’s encourage one another to take the time to invite people over and share a meal. And let’s be sure to invite God to the table as well. Be real with one another – share your heart, your testimonies, your sorrows and your struggles. Pray for one another and bear one another’s burdens. Read the Word together and encourage one another with your favorite Scriptures. That’s where the power is at, my friend. That’s Biblical church. 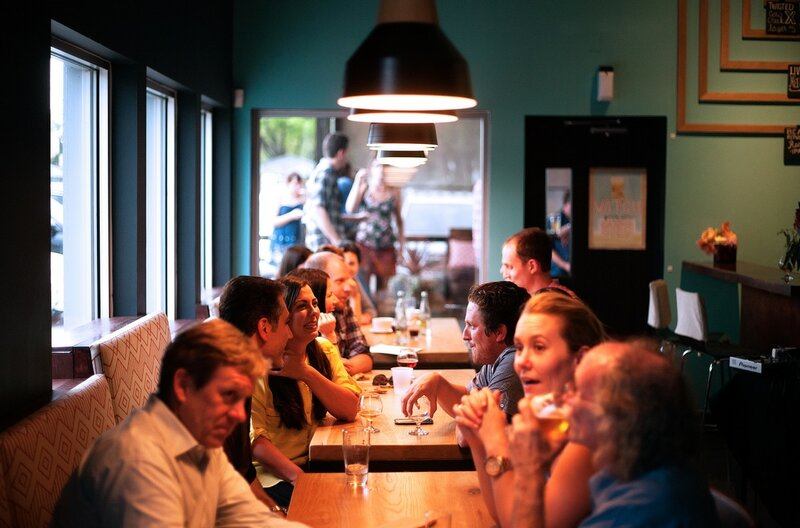 ​The House Church -- Simple Church Gatherings -- Check out this video that explains how simple church gatherings facilitate doing the one-anothers -- caring for one another, praying for one another, bearing one another's burdens, eating together, sharing life together.